If you begin an Experiment or Research and find that you intended to create the other test type, you can always switch it while still in the first phase, Plan Phase. 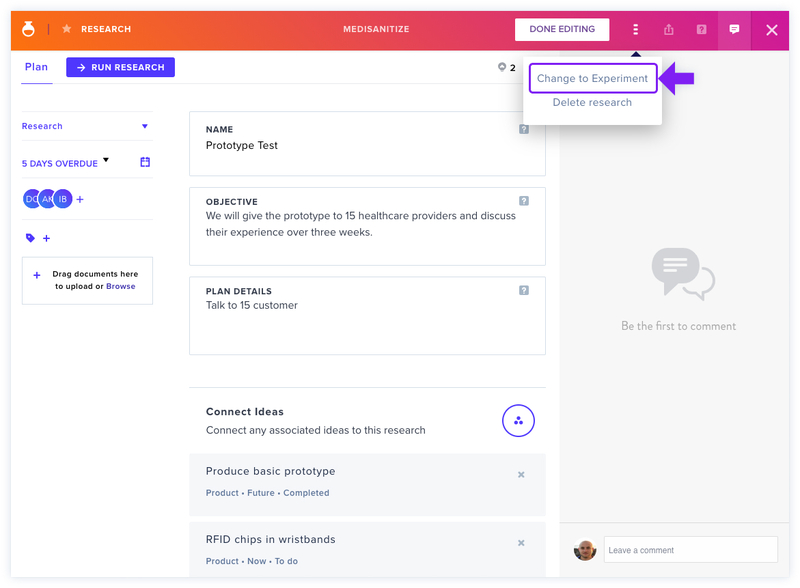 Simply click the three-dot icon in the top navigation bar of the Experiment or Research, and select Change to Experiment or Research, depending on the current Discovery task type. Please note that once you progress to the second phase, Run Phase, the test type can no longer be switched. Need to go back a phase? Learn how to do it here.